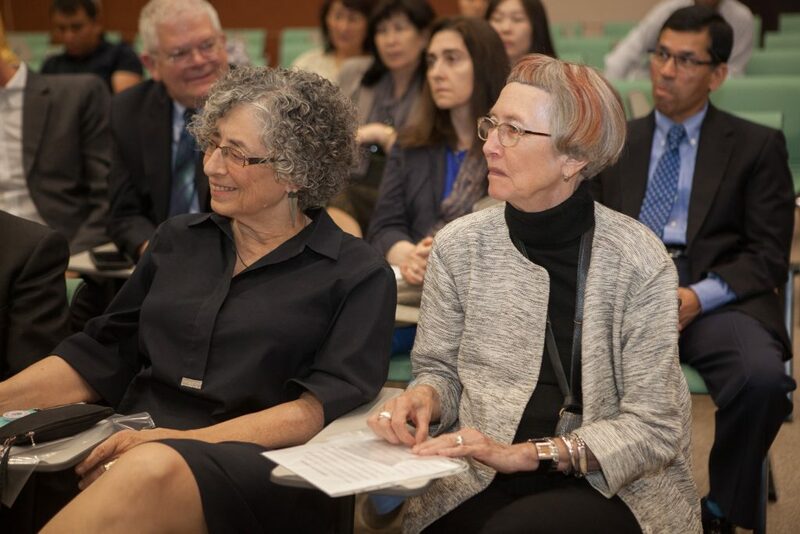 The School of Medicine welcomed its new cohort of medical students - Class of 2022! 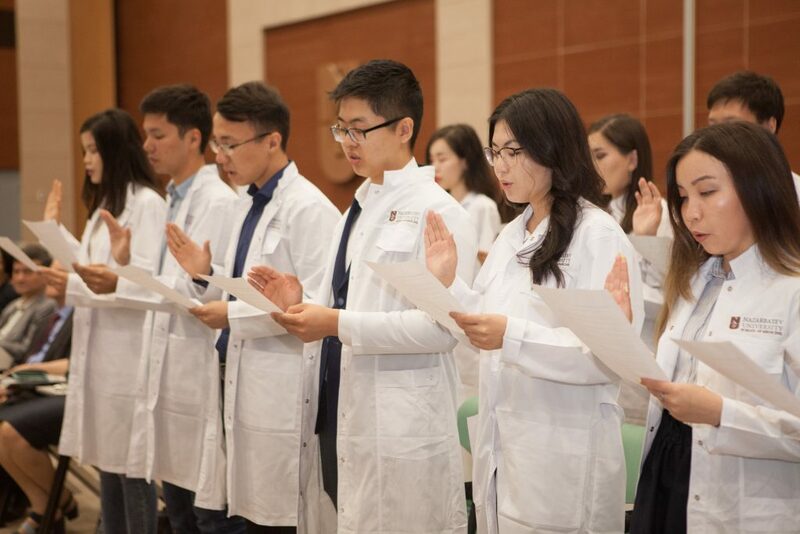 The White Coat Ceremony took place on Sunday, August 5, 2018, during which 27 future doctors received the white coats and took the Hippocratic Oath, committing to professionalism, excellence, and empathy as they embarked on their medical careers. 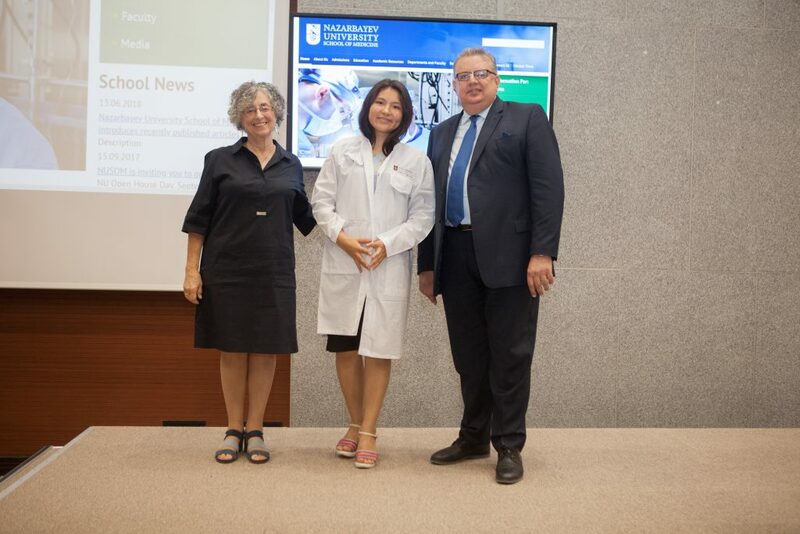 The representatives from the School's strategic partner - the University of Pittsburgh School of Medicine, as well as the Board of Nazarbayev University and University Medical Center congratulated the students, wishing them the best of luck, success and patience in the forthcoming years of study. 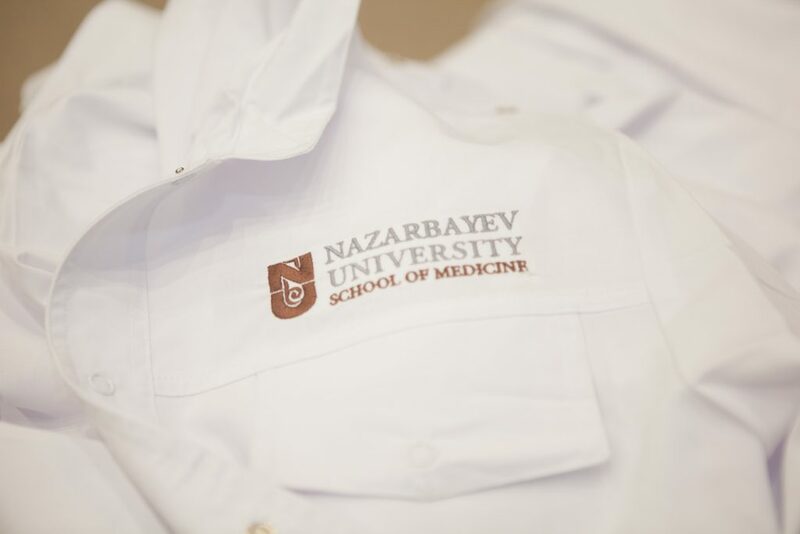 Our warmest congratulations to the Class of 2022! 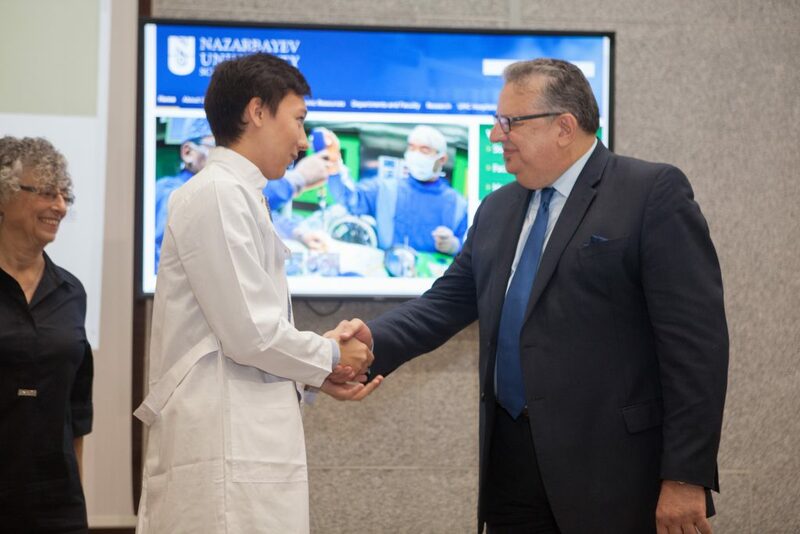 With the white coats draped over your shoulders and attached to your hearts, we are sure that you can do a whole lot of good together, making a real difference in Kazakhstan and the world!